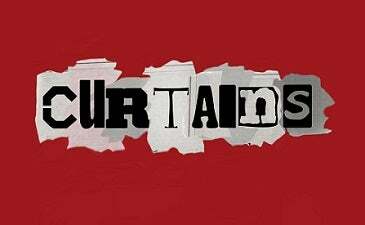 Ardrey Kell High School presents Curtains, a hilarious murder mystery set in Boston, Massachusetts in 1959. It’s opening night at the Colonial Theatre when the supremely untalented star of Robbin Hood of the Old West is murdered, and the entire cast and crew are suspects. It’s up to police detective, Frank Cioffi, an avid musical theatre fan, to solve the case and save the show. Contains some mature themes and innuendos.